The other day I went for a walk on the lake. At Riva del Garda, we don’t have only tourists, we also have, ducks, swans, coots, ravens, sparrows, swallows and lots of other birds which don’t come to mind right now, that have learned to live with the tourists like the “Rivani” have. This week DP Photo Challenge asked us to tell them what twist means to us…this is my first thought! And if you want to read the set of haiku I wrote to honor the pair go to Bastet and Sekhmet’s Library by clicking the link! 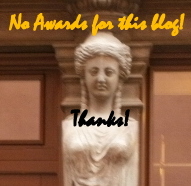 This entry was posted in WordPress Weekly Challenge and tagged Bastet and Sekhmet's Library, Daily prompt, DP Challenge, experience, Italy, photography, postaday, Riva del Garda (TN). Bookmark the permalink. Their colours are so beautiful!! I must go to Centre Island when I am next in Toronto to take close up like that…and the geese. This photo does remind me of this but your ducks have such beaudiful colours…ours are much darker. I’d love to see the ducks from Centre Island, sounds like a beautiful place. Of course I’ve heard of canadian geese! Our ducks used to be wild but they don’t fly immigrate anymore so I guess we can consider them domestic. They do have really beautiful markings…the ladies are dull brown of course, so these muct be brothers. Ah yes, the females are plain to protect themselves. The geese in Toronto are somewhat domesticated as well…they stay all year. I was shocked when I moved there. We don’t have that in Quebec.